Do the actions represent the best possible long-term solution from the customer�s viewpoint? Do the actions make sense in relation to the cycle plan for the products? 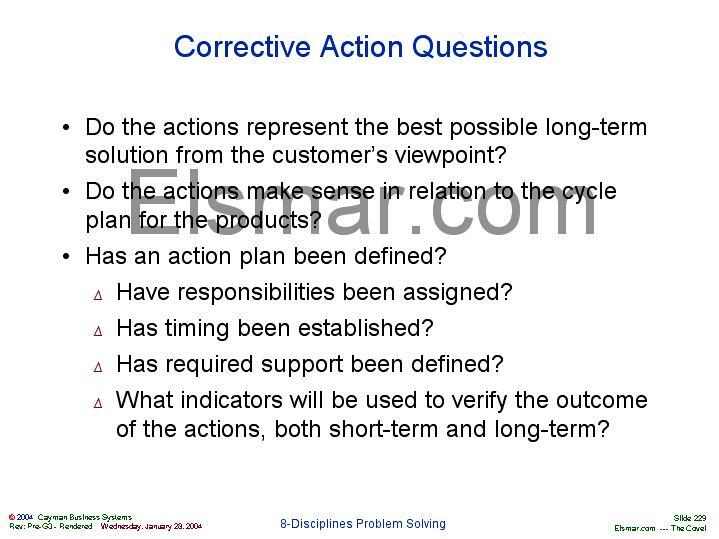 Has an action plan been defined? Has required support been defined? What indicators will be used to verify the outcome of the actions, both short-term and long-term?